Being involved in a Motor Vehicle Accident can be incredibly traumatic, stressful, and financially draining. This is especially true when the other driver has caused the accident. When injuries occur, it is imperative that you seek an experienced Motor Vehicle Accident, Car Accident Attorney, or our team of Accident Lawyers. The unfortunate truth is that once an accident occurs, you are now forced to file a claim with the insurance companies involved. This includes the other drivers insurance and your insurance company. Insurance companies are for profit institutions and minimizing claim payouts is their typical methodology. At Banks Law Group, our team of accident lawyers employ a proven system with positive results to achieve your objectives. In any accident case it is imperative to: understand your policy and the other drivers policy (what are the liability limits), how did the accident occur, and what injuries were sustained. Fundamentally immersing ourselves in our client’s case is how we succeed so frequently. A motor vehicle insurance policy can have many different variations of coverage. For example, do you have a “Limited or Full Tort” policy? It is crucial to understand the difference because it may significantly impact your ability to recover. Do you have “Underinsured or Uninsured” coverage? Again, this is very important because if the other at-fault driver has less than necessary coverage it may significantly impact your ability to recover. What are your policy limits? Have you elected for “$100,000/$300,000”? These are incredibly important questions that need to be addressed immediately. Each have a very real possibility of significantly impacting the results in your case. From the outset, our Personal Injury and Motor Vehicle Accident Attorneys will clearly and concisely explain your entire policy to you. The insurance company should compensate you for damages, loss wages, and medical bills. Understanding your policy is crucial to recovery. As a client of Banks Law Group, you will be completely educated, informed, and knowledgeable about the specifics of your case by our team of accident lawyers. Motor Vehicle Accidents, Car Accidents, Tractor Trailer Accidents, Motorcycle Accidents, and Car/Pedestrian Accidents all happen in an instant. Whether drugs and alcohol, texting, negligence, weather, poor road design, or vehicular defect are to blame, the simple fact is these accidents are horrifically violent. Sometimes happening within the blink of an eye with no time to react or avoid the inevitable. 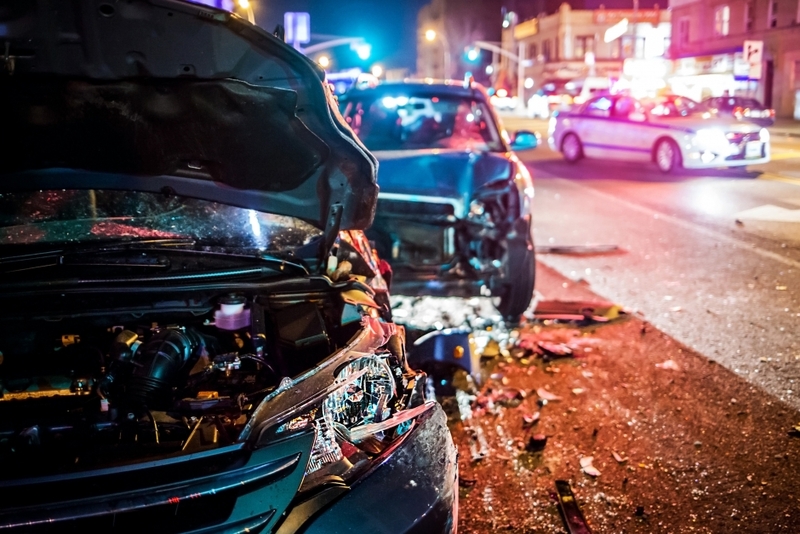 At The Banks Law Group, our team of accident lawyers are well versed and experienced in dissecting the nuances of the accident scene, accident reports, and witness accounts. Our proven approach gets results. Typically our first step after retention is to secure the accident report from the investigating authority or the client. We then send our investigators to inspect the accident scene, take pictures, retrace the accident, evaluate the accounts from the witnesses, and if necessary, employ the expertise of an accident reconstructionist. Each accident is factually different and needs personal attention to fully understand the issues associated with the incident. Some firms have a “volume” practice. We have a “hands on” practice. To fully understand the accident, an attorney must be experienced. That’s why so many accident victims choose The Banks Law Group’s team of accident lawyers. Understanding the injury sustained is probably one of the hardest components to a Motor Vehicle Accident. Each injury is personal and it personally affects you. An injury can destroy an individual’s quality of life, force career changes, alter a marriage, and impair mobility. Often times it takes years to fully recover, if at all, from the injuries sustained. Some injuries are more severe than others, such as: Spinal Cord Injuries; Traumatic Brain Injuries (TBI); Severe Burns; Loss of Limbs or Amputation; and Eye Injuries. At The Banks Law Group, our team of accident lawyers have handled cases involving loss of limbs, broken vertebrae, severe burns, permanent loss of mobility (rotator cuff/shoulder), severe lacerations with permanent scarring, Traumatic Brain Injury, and broken bones all caused by Motor Vehicle Accidents. Each injury is unique because everyone is different. At the core of an injury is a human being who is suffering because of another’s negligence. We take the time to understand our clients. We take the time to understand our client’s medical records. We fully educate our clients on their medical records and the impact on their case. Our accident lawyers get results. Why are good people choosing Banks Law’s as their Accident Lawyers? Do not hesitate and wait, take control of your legal situation. Allow Banks Law’s team of Accident Lawyers to assist you every step of the way. Contact Attorney Matthew B. Banks directly at 844-815-9632 to evaluate your options.